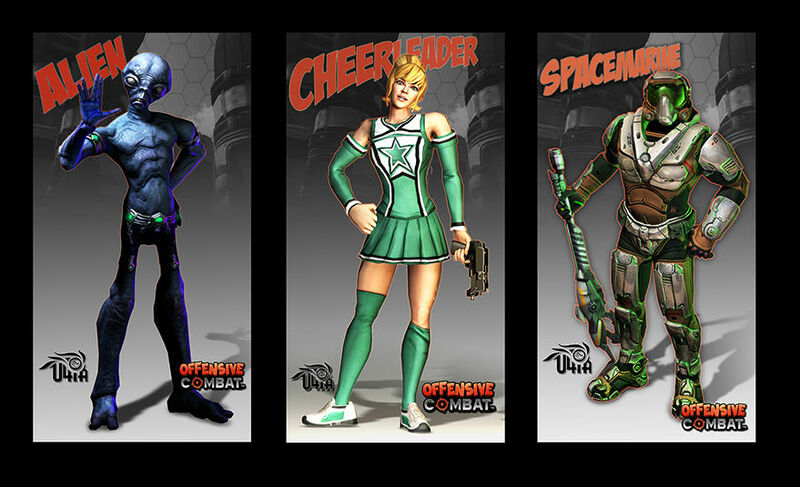 Offensive combat offered a diverse pool of characters to work with. 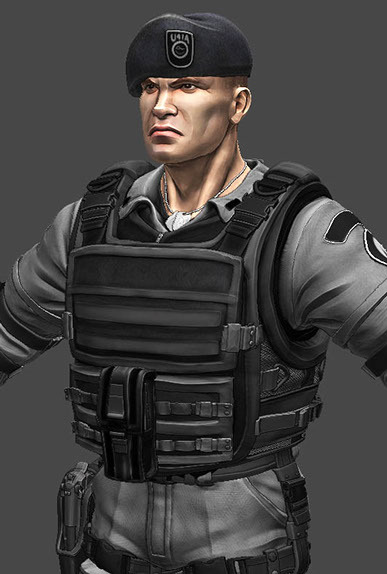 My main role was to polish the outsourced characters and to rig and weight them. 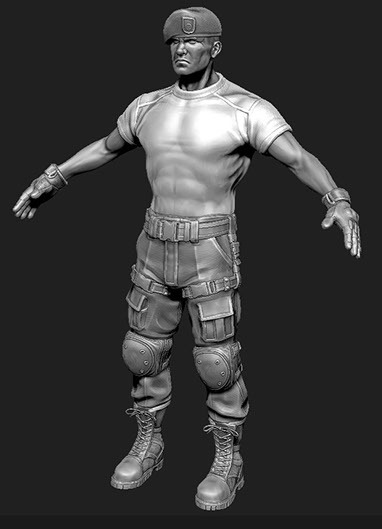 I was also to polish the textures and import the model into the game. The turn around time was always tight since we added content regularly. 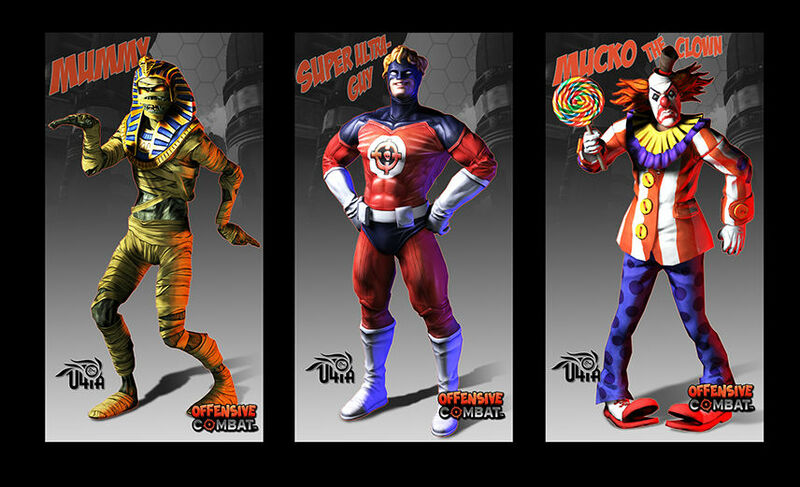 Later in the project I did get to add several characters to the game line up. 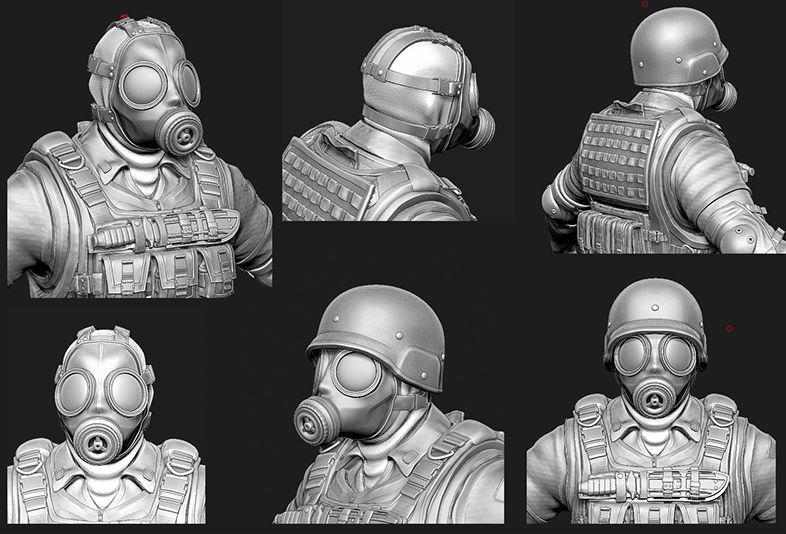 U4ia, Offensive Combat Sas masked soldier character. 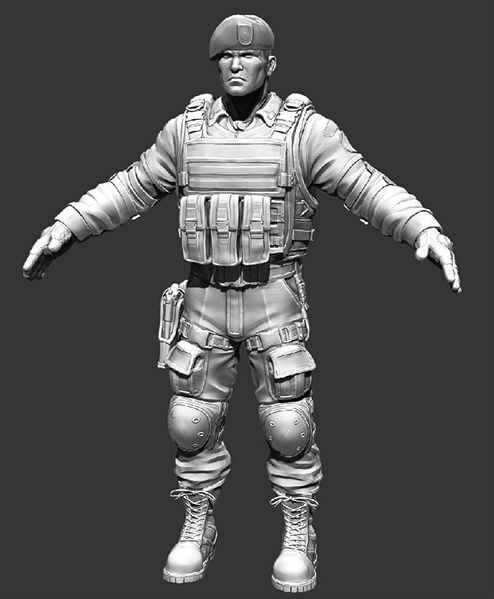 Head, chest, arms, etc had to fit roughly in the same locations as the other characters. 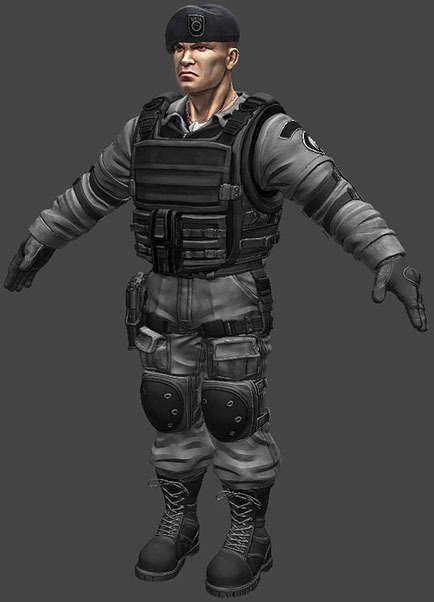 U4ia, Offensive Combat: Brazilian Special Forces character. 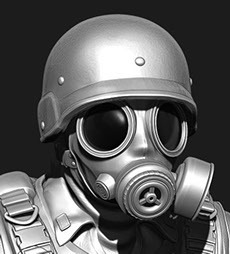 U4ia, Offensive Combat: Imported into the game. 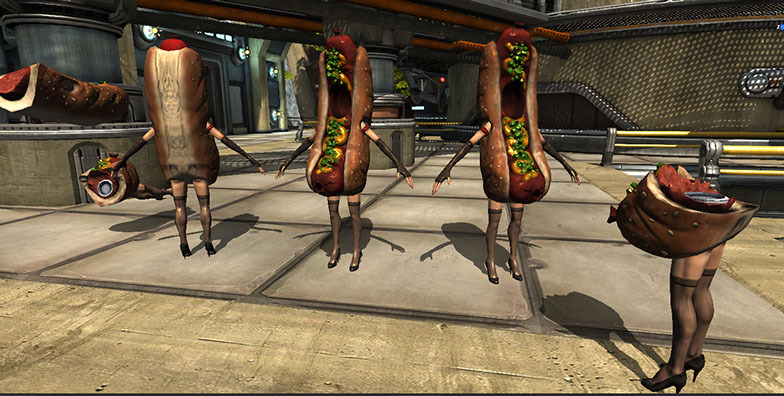 Unity Engine. 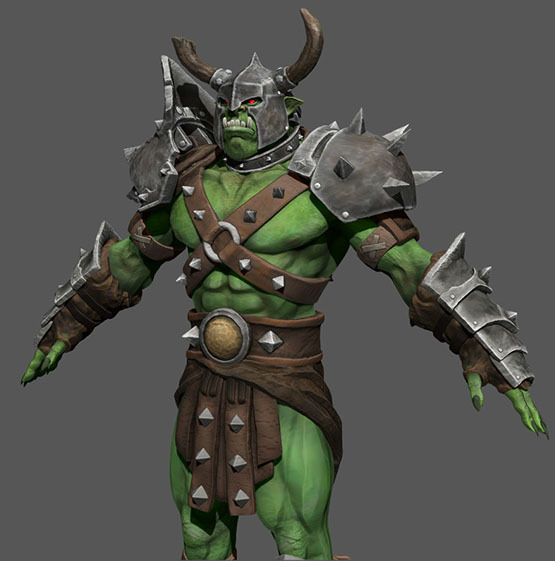 U4ia, Offensive Combat: The Orc was from concept art. 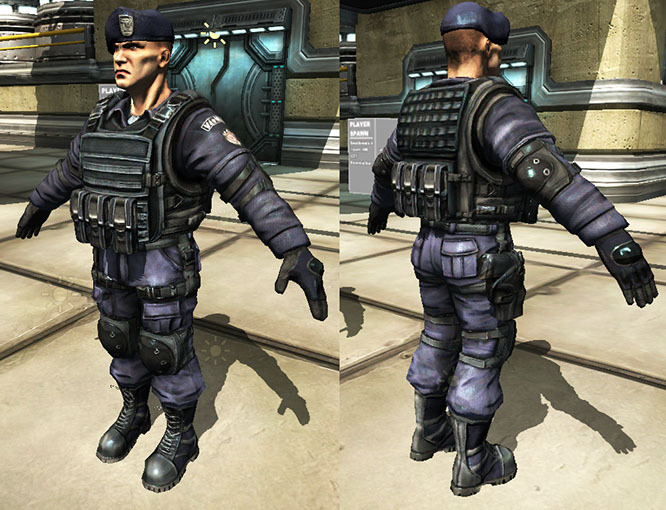 U4ia, Offensive Combat: This was the starting player character for offensive combat in later versions. Quick turn around time for him. 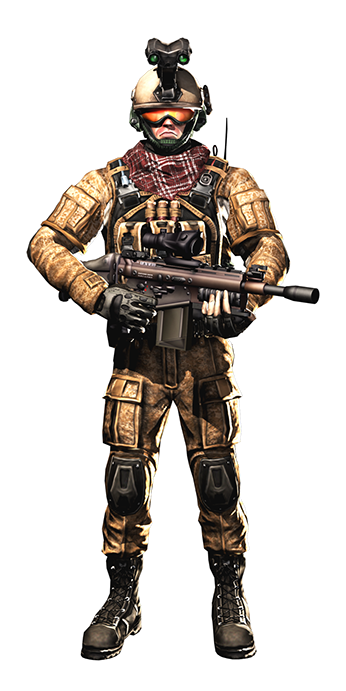 U4ia, Offensive Combat: This is the Force Recon character. 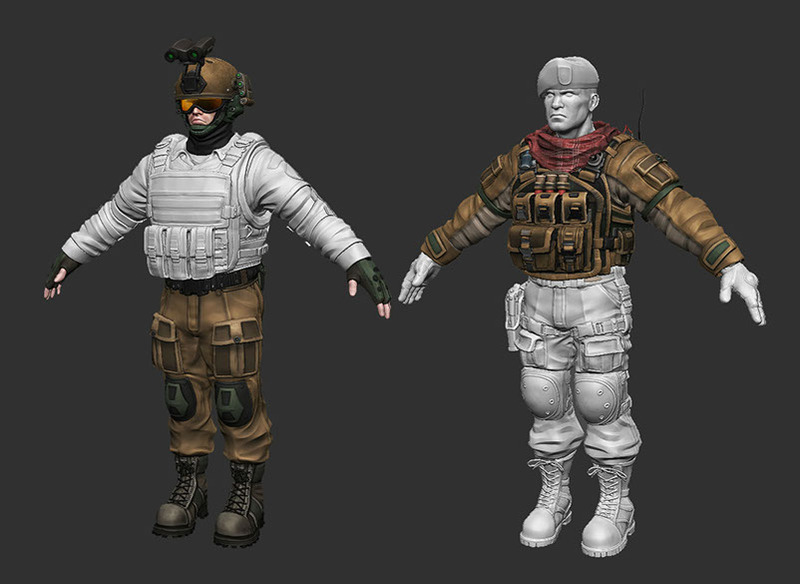 U4ia, Offensive Combat: Parts needed to be modular, this was a test to see how the sections were fitting. 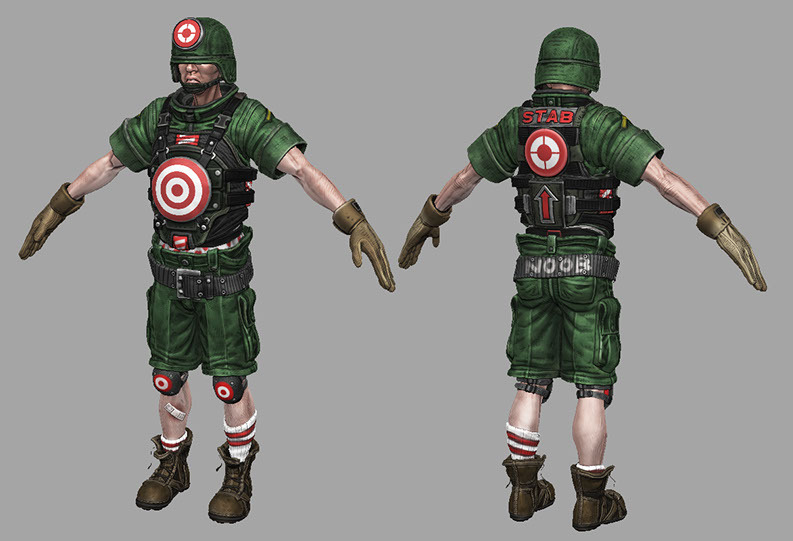 U4ia, Offensive Combat: These were marketing shots for the U4ia. 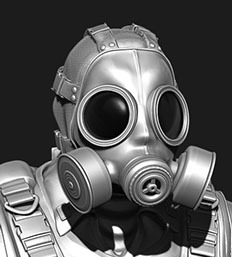 The outsourced models were posed, lit and rendered in 3ds Max with Photoshop. 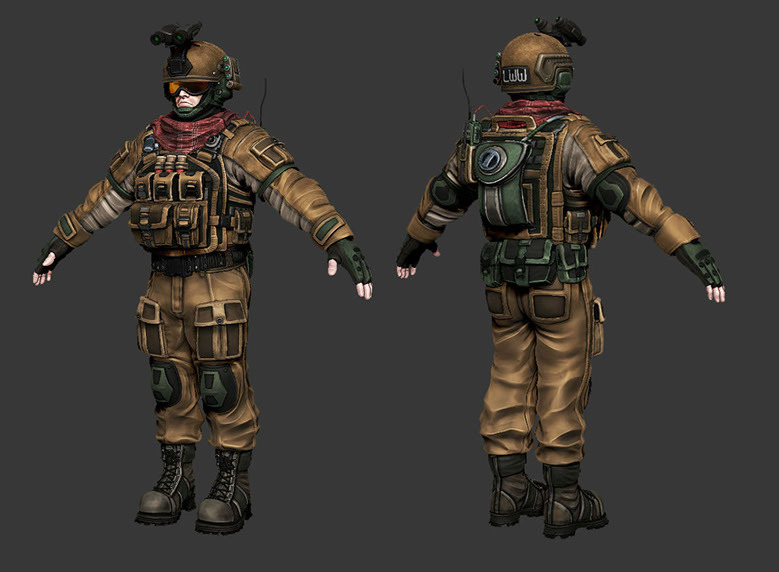 U4ia, Offensive Combat: More marketing shots for the U4ia. 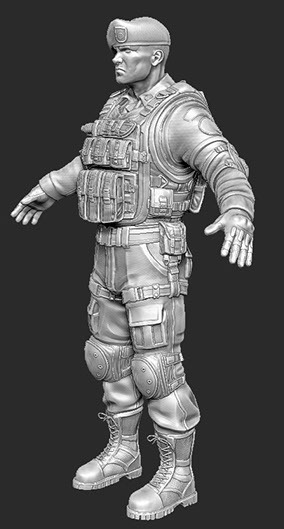 The outsourced models were posed, lit and rendered in 3ds Max with Photoshop. 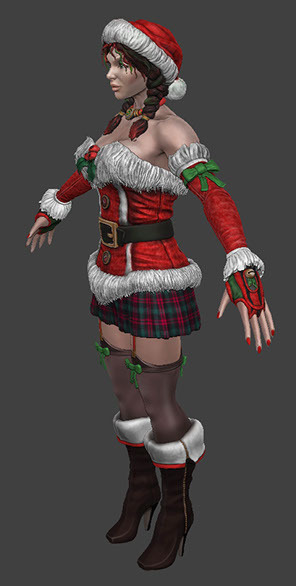 U4ia, Offensive Combat: Santa's little helper. 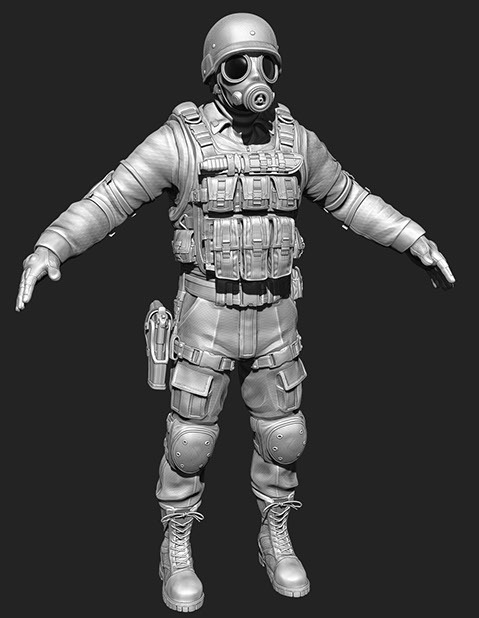 U4ia, Offensive Combat: Bope sculpture.